With autumn rapidly approaching, it is time for those fresh and windy Danish days to come sweeping in again. Though the summer has been more than lovely, now is the time for long walks along the water and enjoying the dramatic scenery and colourful flavours that autumn brings to Denmark. 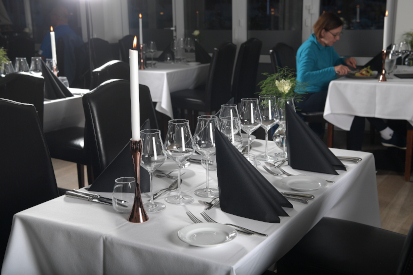 There is nowhere better from which to do that than Restaurant Sejlet, located on the very shore of Denmark’s largest fjord, Limfjorden, in the old northern Jutland fishing village of Nibe. 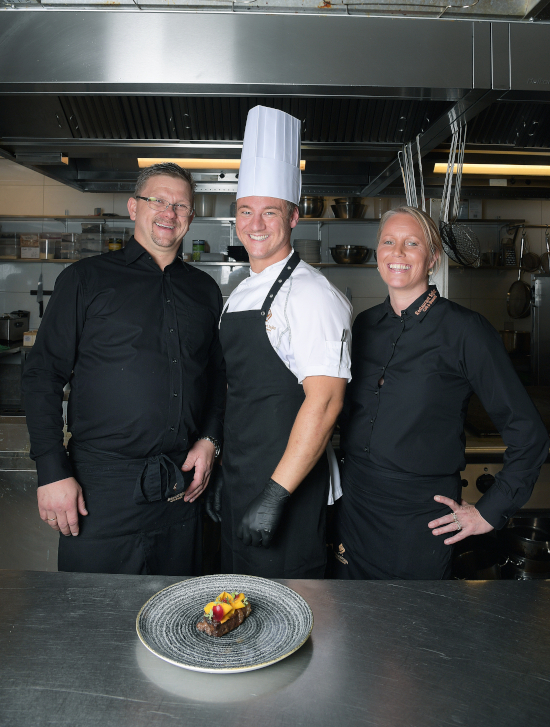 Johnny and Gitte Obitsø Bach had both built up extensive careers as restaurant managers when they decided that their experience – and their marriage – was strong enough to open their own restaurant. “We were both working crazy hours at two separate establishments,” says Johnny. “We decided it made much more sense to work crazy hours at our own restaurant instead.” The couple already lived in Nibe, where Gitte grew up, and had worked together at a previous restaurant, so they knew that they worked well together in a professional setting too. When a certain local restaurant by the harbour became available last year, they knew they had to strike. 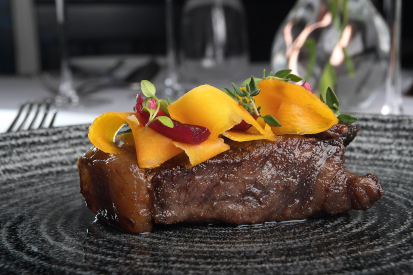 “We’d dined there quite a few times previously and talked about what a gem it was,” Gitte says. “It’s literally five metres from the water, so it’s fully emerged in the harbour atmosphere, and the view are just fantastic. We have plenty of outdoor space just by the water and, for the colder months, a lovely covered terrace with the same spectacular views of the fjord.” Once it was theirs, they had to make one rather large adjustment: “We changed the cuisine from Chinese to Nordic – it just fit the place and location perfectly.” The name, too, was given a makeover, and the proud new Restaurant Sejlet (‘The Sail’) was ready for her maiden voyage in March 2018. The restaurant works with local producers and strives to use as many organic ingredients as possible, though their primary concern is the flavour of each piece of meat, fish or vegetable. The evening menu changes every six weeks in keeping with the seasons. That way, the kitchen gets to be as creative as possible and guests can expect a new and distinct experience every time. To make the most of the flavours of the moment, Johnny recommends the set evening menu, which takes diners on a tour of up to five of the current dishes on offer. 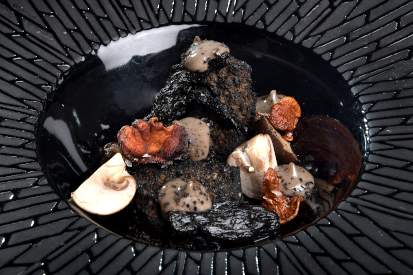 “Lorentzen and his team have put these tastes together to create a series of multifaceted but well-balanced flavour combinations that work both within each dish and across each other so that the diner is never bored.” Current offerings include beetroot lamb jerky, salmon with elderberries, and beef heart with pumpkin. 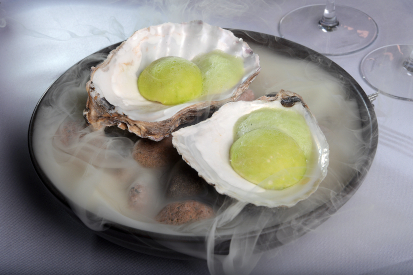 Appropriately for the autumn, the forthcoming menus will play around with game flavours.